Beautiful Lake Ridge 3-level townhouse with hardwood floors on main level & Stairs, recently updated kitchen and bathrooms, recently windows and doors, new kitchenette in the basement with new carpet, air duck deep cleaning last year and it~s good for five years, new hardwood stairs, new backyard Fence and door, siding and gutters replaced in 2010. Large deck of the back of the home with wooded view of the Occoquan. Separate family room in the basement with full heated floor bath and plenty of storage. access to major commute options including Route 1, I-395/95. 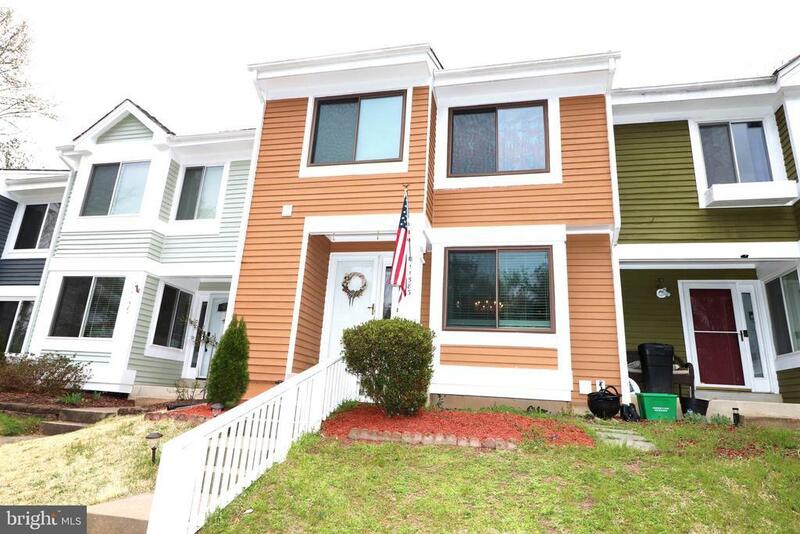 Just minutes to Potomac town center, shopping center & Ft Belvoir. Please remove shoes or wear booties provided and turn off any lights turned on during the tour Hurry!! Directions: I-95 S to exit 160 to merge onto VA-123 N toward Occoquan/Lake Ridge. Turn left onto Old Bridge Rd and follow for 3 miles. Turn right onto Mohican Rd and follow for 1.5 miles to propertyon the right.